Guinea Pigs, Cavies, are SO Smart! I always say, some of our Guinea Pigs are Smarter than many peoples dogs! 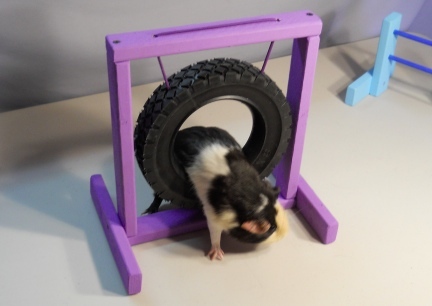 We set up a full website with how to train/teach your Guinea Pig on Agility Courses and how to DIY Equipment, we make and build our own for all our MANY species of animals we train to Agility. Deron and I have taught and do teach MANY species. Please have a look, to the right, at our different websites where we give our information, ideas and patterns for FREE!